As cyber crime climbs to one of the top concerns for policymakers, business and consumers, Marcel Wendt, CTO and founder of Digidentity, has developed an innovative solution to reduce risk inherent to any online exchange – not least igaming. Nearly everybody leaves a digital paper trail of their personal data and identity on the the internet – even when making simple purchases at web shops, playing on a gambling websites or being active on social media. These activities are not always secure and fraudsters are always looking for new ways to get a hold of your personal data. That is why I founded service provider Digidentity almost ten years ago to better protect the digital identity of internet users and make online life more secure. My goal when I set out was to give the right to digital self- determination back to inter- net users. That may sound a bit complex but what it came down to in practice was the creation of a kind of digital safe that would securely store your personal data when you browse the web. Anyone who wants to use his or her digital identity, for instance to take out an insurance or apply for a building permit, can open that safe – but others cannot. The patented system is designed in such a way that even Digidentity staff can’t steal digital identities. When it comes to identify verification online, there must be security and reliability on both sides. • First, the reliant party, for instance an insurer, the tax authorities or a web shop, needs to be certain that you are actually who you say you are. • Second, the user, wants a 100-percent guarantee that your personal data is in safe hands. It’s our job to guard that process. That is why ballots take place on both sides. The reliant party goes through a process to prove it can sufficiently protect this person’s personal data. And the users, customers or businesses that want to purchase a service or log on to a website, must at one point present evidence to verify their identity, for instance with a passport. Digidentity provides the reliant party with that assurance and allows the user to log on with a single Digidentity mobile token. 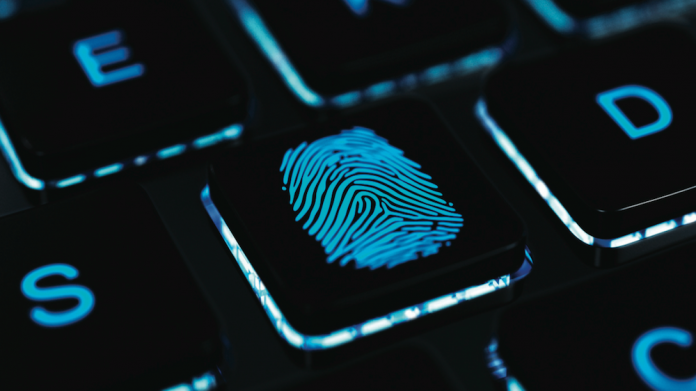 What are the benefits of protecting your digital identity online? • The use of a Digital identification renders cybercrime and identity fraud more com- plex. Users are optimally protected with regard to privacy and security. • Secure login: Stricter requirements concerning security, reliability and the protection of personal data. • Certainty for businesses about the online identity of internet users: increased authenticity and better authorisation mean service providers or websites can always be certain that they are doing business with the right persons. If the user doesn’t have a Digidentity they need to register for it. Registration begins with the verification of the user. During verification, we check who a person is. This can be established on the basis of information submitted by the user and proven by providing identification documents. For the verification of the identification document Digidentity compares a selfie picture with the photo on the user’s passport, checks if the passport is genuine and valid and, also, in order to prevent fraud we also check if the identification document is reported stolen or lost. Subsequently, Digidentity can do a sanction check (we verify if the user is on any sanction list worldwide) or a PEP check (we check if the user isn’t a Politically Exposed Person, someone who has been entrusted with a prominent public function). Digidentity can also match a name and address against banking details or (in the UK) verify the home address of the user. With a Digidentity account, the user can log onto – for example – a gambling website. And he or she doesn’t need a username or password. Logging in is as simple as scanning a QR code with one’s phone and confirming the authentication with one’s fingerprint or pin code. After logging in, relevant data and the user id are sent back to the company or gambling website, enabling a quick and convenient age verification and a sanction check.